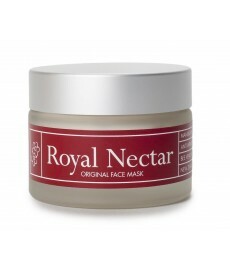 Royal Nectar is formulated for a rapid anti-ageing effect. 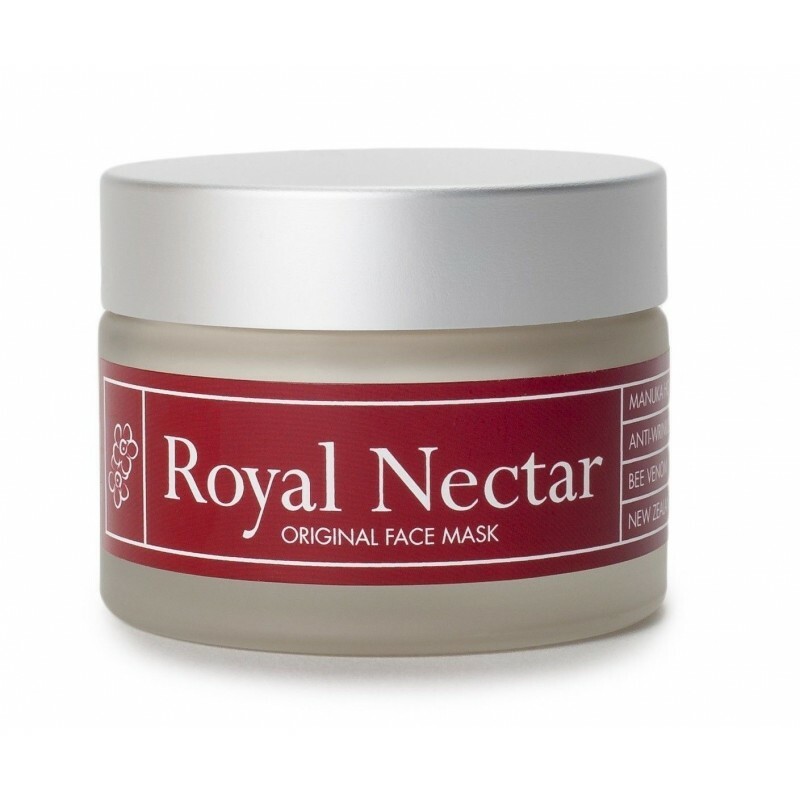 A soothing blend of waxes and oils, Royal Nectar’s face mask includes two products from New Zealand - Manuka honey and bee venom. It is the bee venom that will gently stimulate your facial muscles to tighten and firm the skin, reducing the effects of your frown and laughter lines. The effect is as if you are taking your face to the gym for a toning, facial workout. 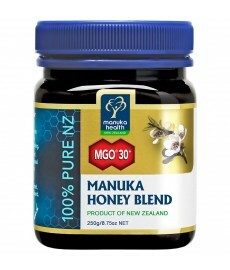 The Manuka Honey then has a refining effect and stimulates skin tissue to produce new collagen and elasten, the combined effect of these two ingredients really is quite wonderful. Apply Royal Nectar daily as part of your skin care routine. Leave on for 20 minutes, then wash off. A test patch application is recommended for first use. We suggest application using a clean spatula. Ingredients: Bee venom, Aqua, Manuka Honey, Rose water, Lannett wax, Tocopherol, Beeswax, Avocado Oil, Apricot Kernel, Easyliance, Rosehip, Evening Primrose oil, Optiphen, Elyese Cocoa Butter, Tixican, Marshmallow extract, Lavender. What Are The Advantages of Bee Venom Treatments? • One major advantage of bee venom creams is that it requires absolutely no needles, which is a big plus for those who are scared about injections in the face. Botox, the tried-and-tested face relaxer, requires needle injections. Since bee venom treatments are topically applied, they are painless and non-invasive. • Bee-venom is natural, which makes it ideal for those who are sceptical of using artificial chemicals, let alone a toxin, on their faces. 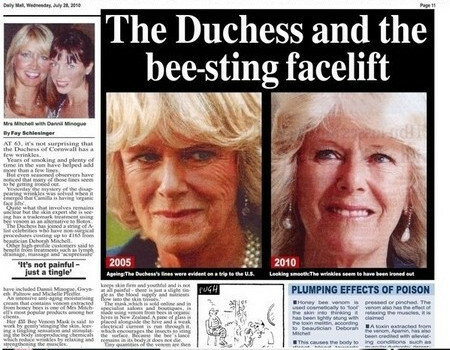 • Users of bee venom treatments will also still be able to make natural-looking facial expressions, whereas Botox injections tend to make the face look more “frozen,” sometimes leaving the patient unable to express their emotions with prolonged use. Bee venom claims to smooth out wrinkles, without the fake look of Botox injections. DIRECTIONS: This is not your usual Face Mask. 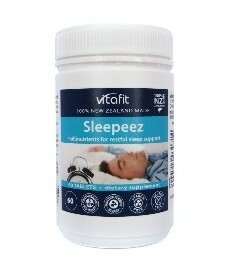 It can be used as a restorative face mask at any time, OR as a night cream to deeply replenish. As a face mask: (1) Cleanse skin & apply the cream generously over your face and neck using a clean comestic brush or spatula. (2) Wash off after 20 minutes. 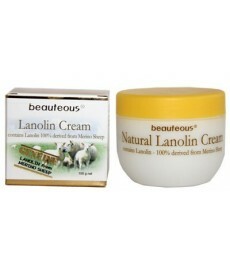 As a night cream: (1) Cleanse skin and apply sparingly to the face & neck, and massage gently. (2) Leave over night and wash off in the morning. A test patch application is recommended for first use. We recommend for best results use in conjunction with Royal Nectar Moisturising Face Lift - in the morning.